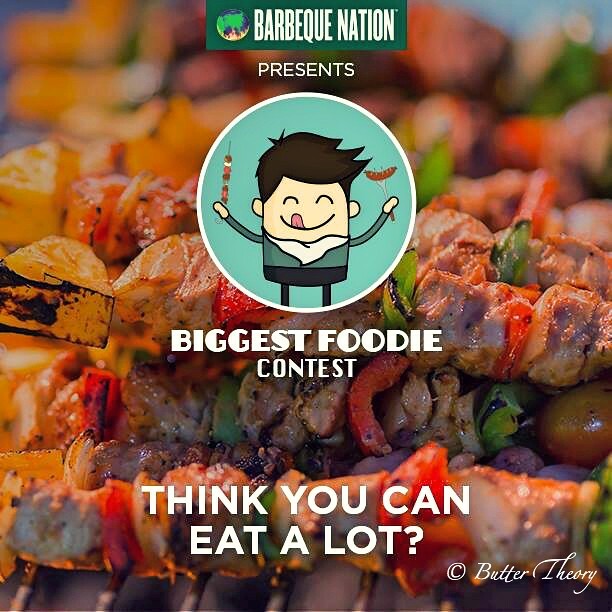 Barbeque Nation in collaboration with Nearbuy & BuzzIntown, recently conducted a competitive eating contest called the Biggest Foodie Contest in 3 cities,Bangalore, Chennai and Hyderabad in India. 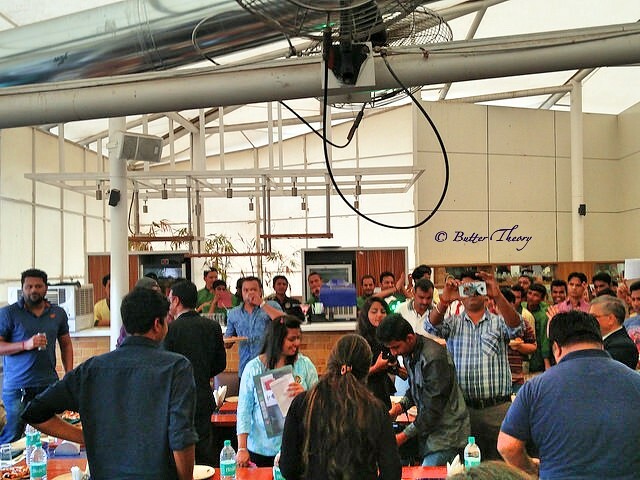 In Bangalore, the JP Nagar outlet had invited a set of bloggers to take part in this contest as well! Since 2007, Barbeque Nation in Bangalore, really set the tone for massive eating challenges, with it’s all you can eat buffets starting at about ₹250! Barbecued food was seldom available in Bangalore back then. Paired with some spectacular starters with the very popular flag concept, where the staff would keep on bringing the starters, onto your table, till you put the flag down! AtmosFire, is a company that helps you organize barbecue parties with just a call. Live barbeque grills, set in a theme of your choice. 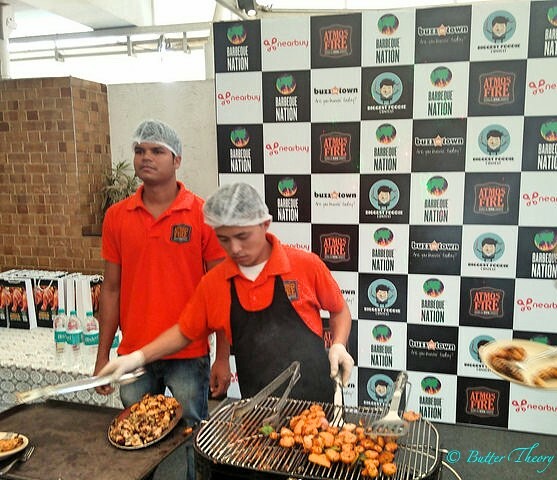 And what’s more – AtmosFire comes from the Barbeque Nation lineage, which means you’ll find the same taste, quality and variety that you have come to love from one of India’s largest barbecue chains. 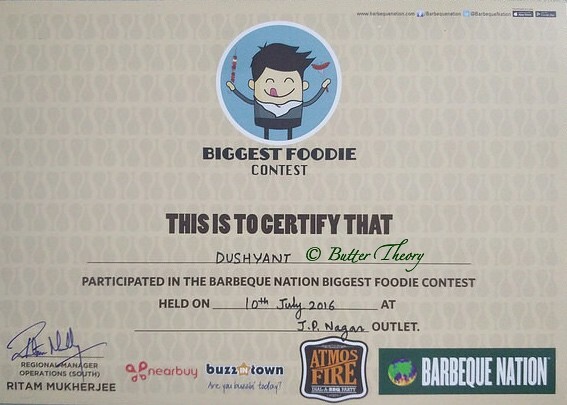 15 people were given a chance to fight it out for the title of the “Biggest Foodie”. Starters that are usually served at the table were plated up and the person who ate the most number of plates in 15 minutes, would win the title! What did the plate look like? 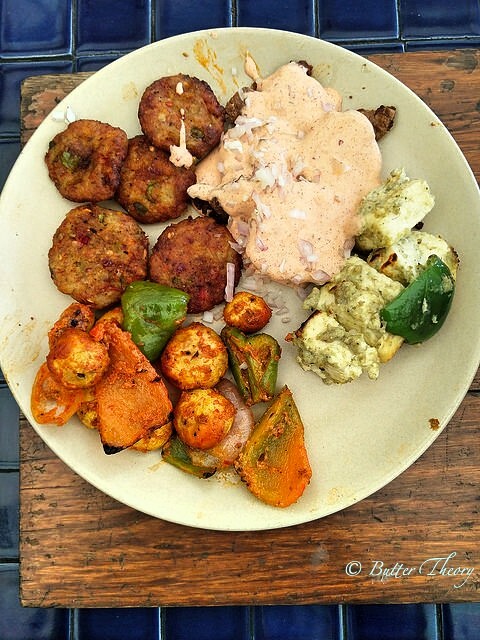 This is the vegetarian platter that consisted of the Cajun Spiced baked potatoes, grilled paneer( cottage cheese) tikkas, Lebanese Veg tikki, tandoori mushrooms. The Non-vegetarian platter had Jhinga Nisha(prawns), parsley fish, Gilafi seekh(mutton) and murgh boti(chicken) dishes! What were the Rules ? * Age Range: 20-40 years! Dale Boone, a regular at the competitive eating circuit was the winner as he managed to eat 5 plates of the vegetarian platter in just about 12 minutes. We were shocked to see his amazing pace with which he began this challenge. He managed to finish 2 plates in a little under 3 minutes and eventually slowed down a little 🙂 The previous best was 4 plates by a young gentleman whose record was sufficient to beat for Dale! I am so proud to have participated in a competitive eating event! Here’s my certificate. Apart from the regular contest, there was a separate contest for just the food bloggers 🙂 We were 6 of us and we competed against each other! The only difference in the rules was that ours was a 10 minute challenge as opposed to the 15 minute challenge for the regulars! Head to Barbeque Nation to have some amazing barbecued starters, a more than decent main course and amazing spread of desserts. Do not ever miss the Live Kulfi counter there, it’s brilliant!